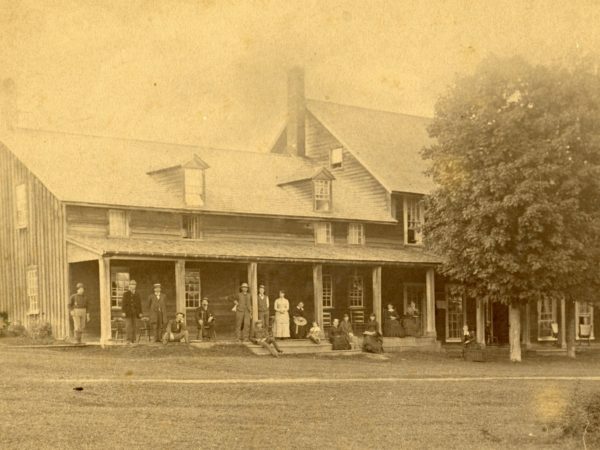 The Paul Smith’s Hotel, built in 1859 by Apollo “Paul” Smith, was, kept intentionally rustic in its early years, unlike many of its contemporary hotels. 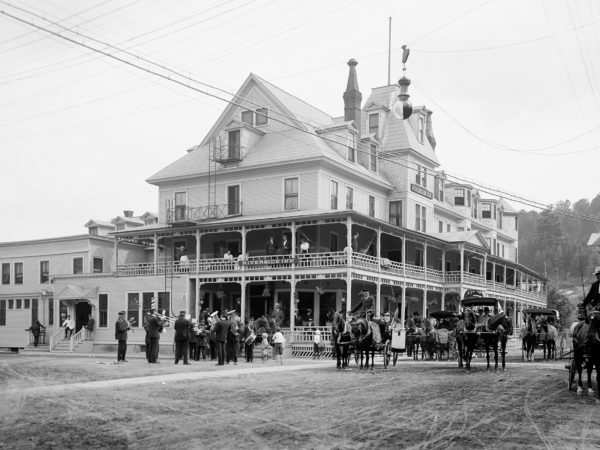 Guests had to carry their own luggage, because there were no men employed as bellboys, and chamber pots and outhouses were the norm, as there were no bathrooms in the hotel. 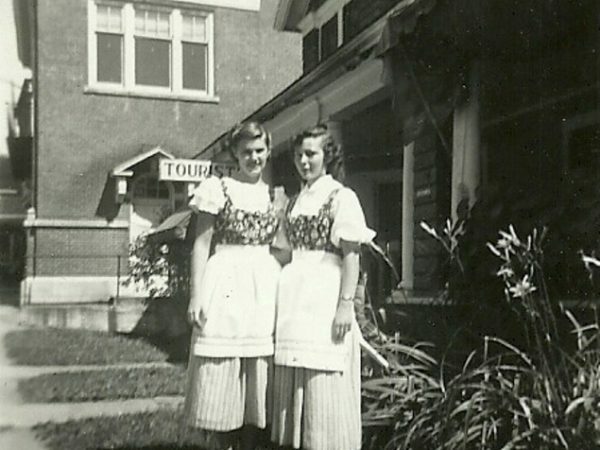 However, the hotel, which began with 17 rooms, soon grew exponentially. 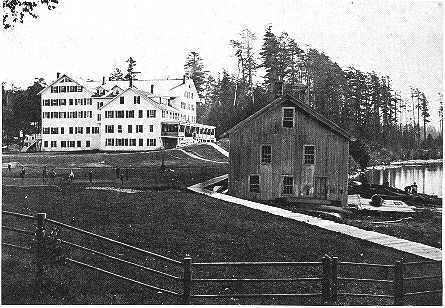 Historic Saranac Lake writes that it had “255 rooms with a boathouse with quarters for sixty guides, stables, casino, bowling alley, and a wire to the New York Stock Exchange. 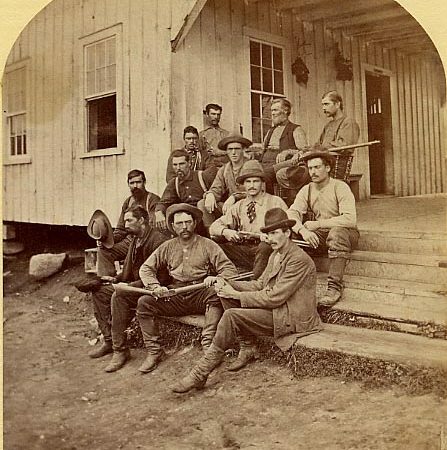 It also had woodworking, blacksmith, and electrical shops, a sawmill and a store. 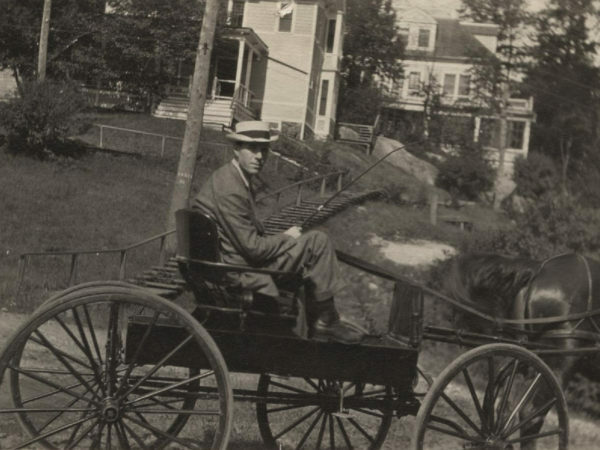 Stagecoaches delivered guests to the hotel until 1912, when a short electric railroad connected it to the nearest main line.” Circa late 1800s. Saranac Lake, NY. Courtesy of Historic Saranac Lake.